Again, I have been remiss in keeping regular updates. Alas, most of my news is not good. But, to blunt the edge of it, some good news first. 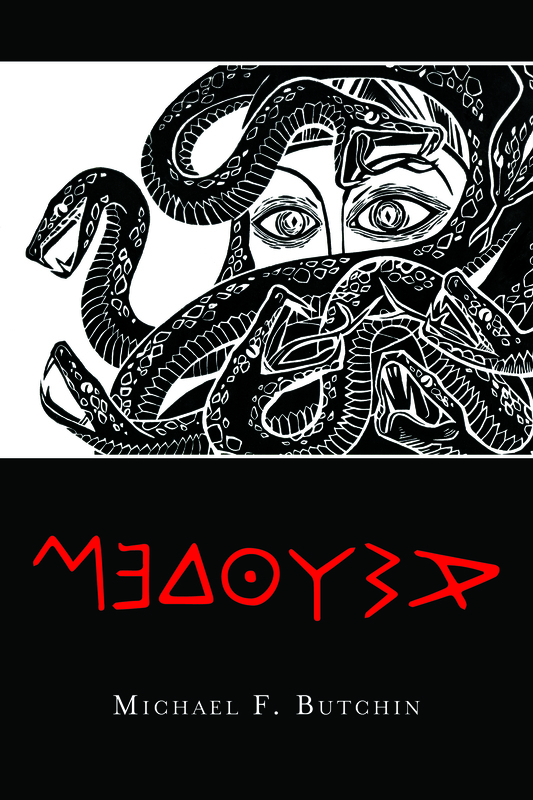 I sold two more copies of Medousa, and the paperback editions, no less. My reviews, as I try to share from time to time, are generally positive, and there have been a valuable few which, while not being stellar, still discussed some various points of interest in the novel. I enjoy seeing how my work affects people, and to hear their thoughts about it. One of the things I like doing is reading through the comments sections of my favourite web comics. Some of them, the ones with well-composed stories and richly detailed worlds, have readers not only making observations, but also arguing with one another. They each find meaning in their own ways, and the very well done stories affect readers emotionally. Many years ago, in conversation with a friend of mine, I had been asked about Art in general, and Music and musical performance in particular. I had been asked my opinion on the role of the artist vs. the artist’s audience. My thought at the time was that a piece of music, or a story, or a poem, or a painting, is more than what the artist intends; once the work is released, the artwork is also affected by its “target.” The composer may have had something in mind when s/he creates a symphony or concerto, but the audience listening is not passive, nor are the musicians through which the composer’s work must pass. A single piece of music will mean different things to different people. One piece of music will bring one person joy, but might be unutterably depressing to another. You can hear the differences of interpretation when listening to the same piece of music as arranged by different conductors. My point being that there is a living relationship between Artist, Art, and patrons. The artist creates, but then has to let go of his or her work to take on a life of its own, and to establish its own relationships with its consumers. At any rate, I really need to figure out promotion so that I can sell enough copies of Medousa to pay for the expense in producing it. The corrections on the final edit are being worked on, and I hope soon to re-upload the formatted book to the publisher. Since January of this year, I have been on a probationary program at work. Apparently, my “metrics” are not yet satisfactory. Let’s say that on a scale of 1.0 to 5.0, I need to achieve a 3.0 or higher, and maintain it, without making any quality defects. If I scan my performance from January 1st to April 30, my score is a good 3.1. But if, as they are doing at work, they are scanning from October of last year to date, my score is only 2.7. My mid year review is “Needs More Development.” The problem is that this is my second year at the current firm. At some point, and soon, HR will not be able to keep me on any longer. As you might imagine, this is somewhat distressing, as I have not yet hit the lottery, nor has Medousa become a New York Times best-seller. It also distresses me that after eighteen months, I am still struggling in a position that kids half my age, who came on board at the same time as I, have been excelling and gaining new duties and promotions. I feel that my brain must be getting old, inflexible, and gunked up. The particular work I do might not be something I specifically like doing, but I do like to be competent at whatever task I’m assigned. Further, my health has not been particularly good. Much of it may be due to stress. I have tachycardia which has been troubling me of late. I seem to be living with what feel like knots in my esophagus at about chest level, almost like internal hiccoughs. I am feeling my age, and hope I don’t wear myself out early with overwork and stress, like Borodin. I have begun working on my next book. I have decided to make it a memoir of how I transitioned from being deeply religious to being without faith at all. I think if nothing else, religious types might want to buy it in order to burn it. If I can write and entitle it properly, of course. And most recently, I have been quite ill with a lung infection of some sort. I have spent the better part of two weeks congested, coughing so hard, my ribs ache, and trying to take in as much fluid as I can. I think my current levels of stress are affecting me more than I have heretofore suspected. I need either a better situation, or a lot more money. If anyone knows of the availability of either, please do let me know. I was born, according to the official records, in the Year of the Ram, under the Element of Fire, when Johnson ruled the land with a heavy heart; in the Cradle of Liberty, to a family of bohemians. I studied Chinese language and literature at Rutgers University, New Brunswick. I spent some years in Taiwan teaching kindergarten during the day, and ESOL during the evenings. I currently work as a faceless drone in a corporate call center, and am an unlikely martial artist. I have spent much of my life amongst actors, singers, movie stars, beautiful cultists, Taoist immortals, renegade monks, and at least one martial arts tzaddik. I currently reside in my dead grandparents’ house, alone, with an impressive collection of martial arts weapons, where I practice and train daily. I am not currently on any medications. Sorry you’re having so many health issues and work troubles! I know what that’s like (I have Lyme disease). I don’t know if you’re a member of the Support for Indie Authors (SIA) group on Goodreads, but they have a lot of good info about book promotion among other things. I was unaware of them; I’ll go check them out! Michael Butchin on About those Reviews…. arichristy on About those Reviews…. Michael Butchin on I NEED SOME HELP, GUYS!